How was your holiday weekend? 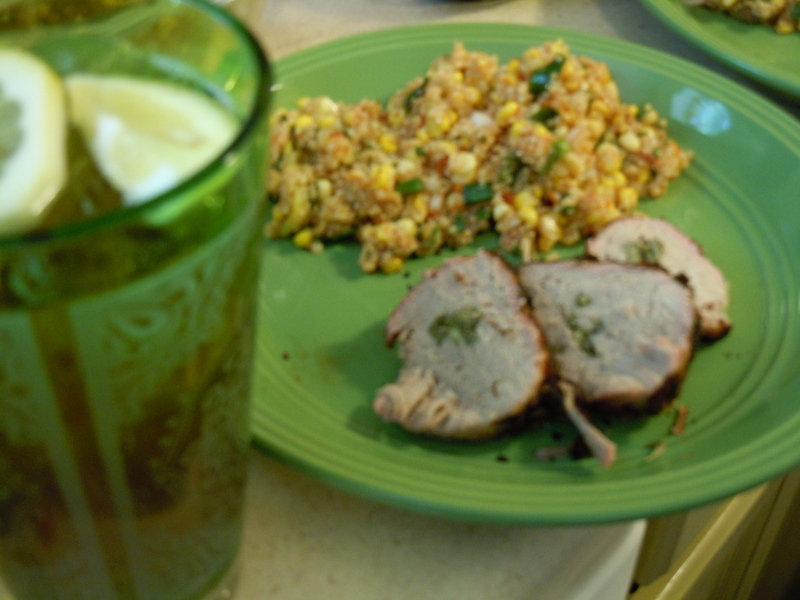 For the 4th, we celebrated with a wonderful grilled pork loin stuff with rosemary and sage from the garden. Then I made a Mexican grilled corn quinoa salad using fresh basil from the garden. You’ll find the recipe here. And we washed it down with sun tea with fresh lemon, and spearmint from the garden as well.